Either option is a worthwhile addition to any homeowners, condo or renters policy. Especially when you have something worth protecting. Protecting your valuables from loss is an affordable option for anyone with treasured belongings. Whether you just need jewelry insurance or want insurance for multiple valuables, Travelers offers plenty of options. So you can add on and choose the exact coverage you need. Plus, Bryden and Sullivan insurance gives you even more ways to save when you purchase two or more Travelers policies, like auto insurance, homeowners insurance and umbrella insurance. 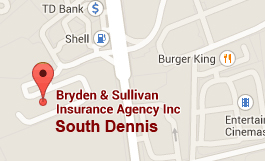 At Bryden and Sullivan, we know how important it is for you to resolve an issue as quickly as possible. That's why our fast, efficient claim services are available 24 hours a day, 365 days a year. Plus, in the event of a catastrophic loss or natural disaster, our industry-first emergency response vans are able to arrive onsite to help your community get back on its feet. 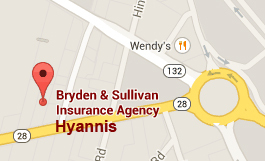 Insurance is underwritten by The Travelers Indemnity Company and its property casualty affiliates, One Tower Square, Hartford, CT. For a complete list of personal insurance underwriting companies, call Bryden and Sullivan at 508-775-6060.